This guided relaxation audio program helps to reduce the stress response that can create sleep disturbance. It can help you to get to sleep more easily, stay asleep, and rest better while you sleep, so you can awaken more rested and refreshed in the morning. Works well for people suffering sleep problems related to skeletal muscular tensions that can block relaxation necessary for sleep onset and rest during sleep. (* Before beginning this program, you should consult your physician or medical professional to preclude any other more serious source for your sleep complaint.) About 44 minutes in duration. There two different guided relaxations for sleep. 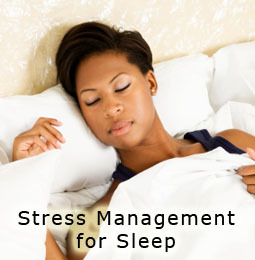 You will have a choice to select the best guided relaxation for your requirements. With practice you will get better results. It takes time and practice to learn how to relax. The rest that you will get will be deeper and more restful. Or time, you may find that you will feel better and more rested with less sleep.